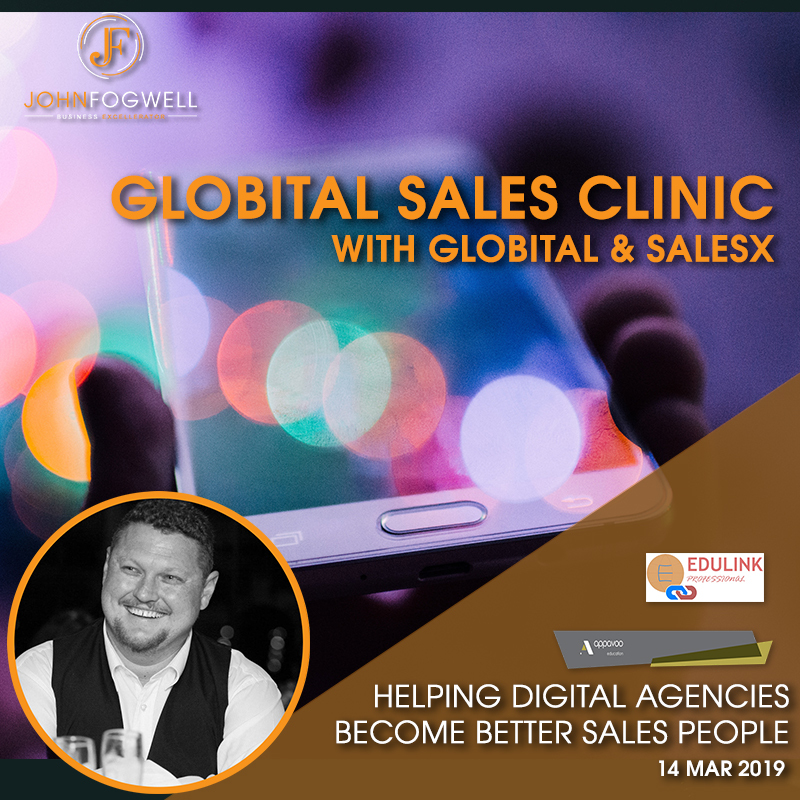 Date: 14 Mar 2019 Globital Sales Clinic – with Globital & SalesX Topic: Helping Digital agencies become better sales people. © Copyright John Fogwell 2018. All Rights Reserved.